Description It's a chance of a lifetime! 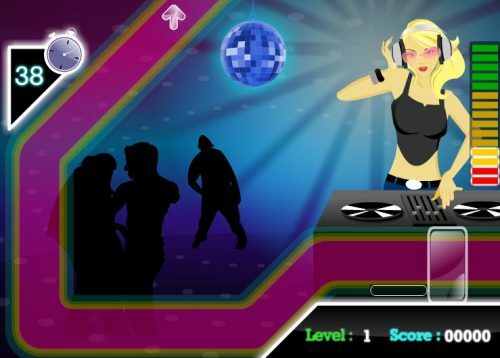 Don the DJ's mantle, and make the world dance to your tunes. Press the arrow keys shown on the screen when they appear in the panel. Press space bar to collect the Golden Disc Bonus. Collect the Combo Bonus by pressing the right key ten times in a row!